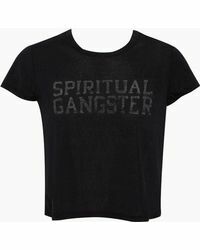 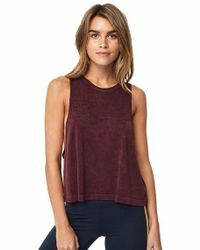 Spiritual Gangster is the Los Angeles-based label that takes inspiration from the free-spirited lifestyle of the West Coast in its range of distinctive yoga wear. 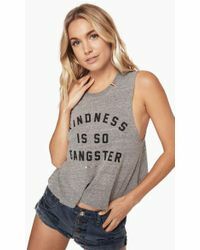 Founded in 2004, the brand is rooted in the belief that 'in order to get, you must first give', working with a range of philanthropic organizations to help create socially-driven manufacturing. 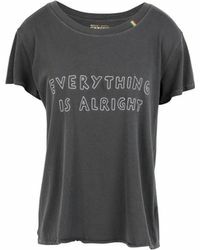 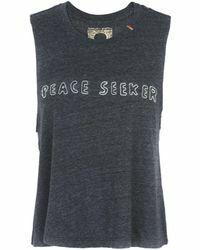 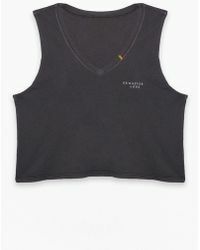 Look to the label's range of yoga tops, tanks and sweat tops detailed with motivational slogans to the front such as 'ignite your spirit' and 'shine bright'.